Since we’re a month away, the filmmakers have decided to give us a brand new trailer! 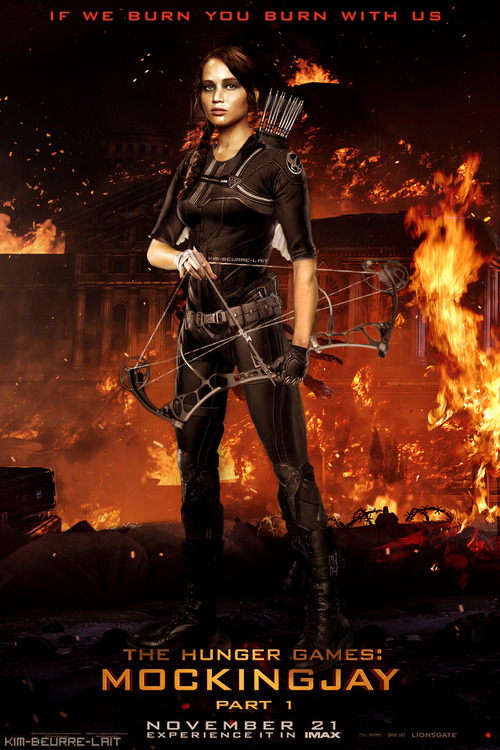 The story picks up where we left off with Katniss Everdeen having just turned the games upside down forever. Under the leadership of President Coin and the advice of her trusted friends, Katniss spreads her wings as she fights to save Peeta and a nation moved by her courage. ‘The Hunger Games: Mockingjay Part 1‘ is heading to theaters on 11/21, advance tickets will be on sale 10/29. This entry was posted on Tuesday, October 21st, 2014 at 11:43 am	and is filed under Books, Film, News. You can follow any responses to this entry through the RSS 2.0 feed. You can skip to the end and leave a response. Pinging is currently not allowed. « ‘My Little Pony’ Transitions To The Big Screen!! !